Bob Tschannen-Moran, IAC-MCC (IAC), BCC, is the CEO & Co-Founder of the Center for School Transformation, President of LifeTrek Coaching International, and Immediate Past President of the International Association of Coaching (IAC). He has been passionately involved with performance improvement and coach training for more than 12 years. In addition to being the lead trainer for the Center for School Transformation, Bob is an active member of the faculty of the Wellcoaches Coach Training School, a coach-training program for health, fitness, and wellness professionals. Bob is the co-author of Evocative Coaching: Transforming Schools One Conversation at a Time (2010, Jossey-Bass) and the ACSM / Lippincott Coaching Psychology Manual (2009) as well as more than 700 articles and newsletters published in both print and electronic formats. Together with his wife Megan, he co-authored the lead article in the October 2011 issue of Educational Leadership magazine, “The Coach and the Evaluator.” Bob is an IAC Master Certified Coach (MCC), a CCE Board Certified Coach (BCC), a graduate of several coach training programs, and holds a Master of Divinity degree from Yale University. Megan Tschannen-Moran, Ph.D., BCC, is the Chief Academic Officer and Co-founder for the Center for School Transformation. Additionally, she is a professor of educational leadership at the College of William and Mary School of Education. Her research focuses on relationships of trust in school settings and how these are related to important outcomes such as the collective efficacy beliefs of a school faculty, teacher professionalism, and student achievement. Another line of research examines teachers’ self-efficacy beliefs and the relationship of those beliefs to teacher behavior and student outcomes. She has published more than 40 scholarly articles and book chapters. Her book Trust Matters: Leadership for Successful Schools (2004, Jossey-Bass) reports the experience of three principals and the consequences of their successes and failures to build trust. Her second book, Evocative Coaching: Transforming Schools One Conversation at a Time (2010, Jossey-Bass), co-authored with her husband Bob, presents a person-centered, no-fault, strengths-based model for supporting teacher professional learning. Prior to earning her doctorate at The Ohio State University in 1998, Megan was the founder and principal of the Good News Educational Workshop, a non-public school serving primarily low-income students on the north side of Chicago from 1979 to 1993. Sara Miller, Ed.D., BCC, is an assistant professor in the Department of Education and Special Education at Longwood University. She teaches undergraduate and graduate literacy courses and also engages in consultant work as a K-12 literacy coach. Her areas of expertise and research are in literacy and instructional coaching. Sara’s work has focused on using coaching as a form of professional development to strengthen teachers’ knowledge base in literacy and improve student learning. Her dissertation on using community-based coaching with teachers of literacy was honored by the International Reading Association and the International Society for Educational Planning. Prior to completing her doctoral work at the College of William and Mary in 2010, Sara worked for over a decade in public school systems in Pennsylvania, Maryland, and Virginia. She served as a classroom teacher, reading specialist, literacy coach, and teacher consultant. Amy Piacentino, M.Ed. has been involved in teaching and school leadership for over thirty years. As teacher, building principal, leadership coach, and central office administrator, her passion is to open doors for all children through education. Her own learning includes a Master’s degree in Educational Leadership and post-graduate work resulting in licensure as a superintendent. Amy’s proud to have worked with the Coalition of Essential Schools and has participated in extensive training in Evocative Coaching, literacy, formative assessment, Understanding the Framework of Poverty, Adaptive Schools, Cognitive Coaching, and the 7 Habits of Highly Effective People. Amy also serves on the Executive Board for Ohio ASCD is the Regional Specialist for Race to the Top, and has collaborated with literacy leaders to write and publish a professional development guide for teaching reading and writing workshops. Jeanie Cash, M.Ed., BCC, recently retired as the Assistant Superintendent of Educational Services in the Placentia-Yorba Linda Unified School District in Southern California after 33 years in education. She taught elementary and middle school and served as a principal for 14 years. For the past 13 years, Jeanie was the Assistant Superintendent of Educational Services for two large suburban districts in Southern California. Currently, Jeanie is a coach and consultant for both the Association of California School Administrators (ACSA) and for PIVOT Learning Partners. She coaches district leaders and site leaders and is certified to coach administrators in obtaining their clear credential. Jeanie is the immediate past-president of California’s State Council for Curriculum, Instruction and Accountability and serves as a co-director for the State ACSA Curriculum and Instruction Leader’s Academy. Appointed by the State Superintendent of Instruction, she served on California’s Committee of Practitioners for No Child Left Behind and, for the past 20 years, has been a team leader and coach for ACSA’s summer administrative training programs at UCLA. Jeanie has received numerous awards in her professional career including Curriculum and Instruction Leader of the Year for Orange County in 2011, the CASCD Outstanding Educational Leader Award and, in 1997 was honored in Washington D.C. as NAESP’s National Distinguished Principal. Jeanie earned her BA from Whittier College and her MA from the University of La Verne. Kathleen K. Pietrasanta, Ed.S., BCC, has been teaching and coaching for over 40 years. Her career followed an organic path as she grew from teaching Kindergarten children to elementary students, high school, and adults. Mid-career, Kathleen developed a keen interest in the educational implications of brain injuries, brain research, and the human potential movement. Her tenure in Newport News Public Schools (Virginia) presented opportunities to work in the areas of staff, program, and organizational development. She has coached countless teachers and administrators in the implementation of effective instructional strategies, instructional mentoring practices, and collaborative performance assessment. Kathleen has seen the positive change in the outcome of teachers’ work when their expertise is acknowledged and used to solve the problems at hand. She believes that consistent use of Evocative Coaching techniques will tap the best in teachers, administrators, and students. Kathleen holds an Education Specialist degree from The George Washington University. Susan MacDonald, M.Ed., BCC, is the founder of Inspiring New Perspectives, focused on empowering educational leaders to create programs that deeply respect and nurture the possibilities that lie within each child, parent and teacher. Susan has been developing and delivering inspirational courses and workshops for over 20 years. Her background includes director of a Reggio inspired preschool program, adjunct faculty at Lesley University and Wheelock College and Commonwealth of Massachusetts licensing supervisor. Susan is a passionate life long learner; her recent academic adventures include completing her professional coach certifications through the Institute for Professional Excellence in Coaching, and participating in the following programs: the Parker Palmer, Courage to Lead, Evocative Coaching; Transforming Schools one Conversation at a Time and The Minds at Work, Immunity to Change. Susan is currently the vice president of the Massachusetts Association for the Education of Young Children and the Massachusetts NAREA (North American Reggio Alliance) membership coordinator. Donni Davis-Perry, M.Ed. has 30 years’ experience teaching general and special education students. She works at the College of William and Mary with the Virginia Department of Education (VDOE) Training and Technical Assistance Center (T/TAC) to conduct professional development sessions and provide technical assistance to teachers and administrators. She enjoys partnering with school teams to implement an important systems change initiative, Instructional Consultation Teams (ICT), to Enhance, Improve, and Increase student and staff performance. She is a charter member of Evocative Coaching training, participating in the pilot course. Donni is a certified coach in Appreciative Inquiry and Whole Systems IQ ™. She guides faculties, parents and students through an AI process to discover themselves at their best. Butler Knight, Ed.S., LPC has 25 years’ professional experience in the fields of general and special education, mediation, and counseling. She has found that strength-based and system’s approaches such as Positive Behavior Support, Solution-focused Brief Therapy, and Appreciative Inquiry to be pivotal to tapping into the creative potential and inspiring change desired by individuals and organizations. Butler presently works at the College of William and Mary through the Virginia Department of Education Training and Technical Assistance Center providing professional development and technical assistance in Positive Behavior Interventions and Supports as a System’s Coach to school administrators, teams and coaches. She is certified coach/consultant in Appreciative Inquiry and Whole Systems Coach IQ. Allen Keitz, ICF, Coach and Director of Business Development for the Center for School Transformation. Allen has a proven success record in the public, private, and education sectors. Allen loves to learn and has a graduate certificate in Executive and Professional Coaching, University of Texas-Dallas and is a member of the International Coach Federation. He holds a Bachelor of Fine Arts- History from St. Johns University- NY, NY. Attended the University of South Carolina- Columbia – Master of Science- Political Science (ABT). Allen continues his professional education and has attended workshops such as Cultivating Strengths Through Appreciative Inquiry from the Corporation for Positive Change. Allen has participated in numerous Franklin Covey workshops including the 7 Habits of Highly Effective People, Helping Clients Succeed (Consultative Selling) and the Discover 7 Educators Workshop. Also, he is certified to perform 360 assessments from the Center for Creative Leadership. Maura Rawn, MBA, serves as Chief Operating Officer for the Center for School Transformation. She also serves as Controller at the Wellcoaches Coach Training School. Maura earned her MBA at Franklin University. Prior to joining the Center for School Transformation, Maura served as Controller at Astute, Inc. and Plaskolite, Inc.
Doug McCready, serves as Chief Information Officer for the Center for School Transformation. 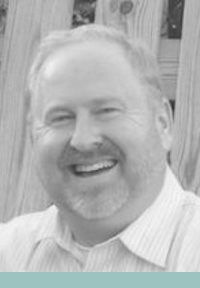 Doug earned his degrees from Coleman University (La Jolla, Ca) and the University of Phoenix, and has served in senior Information Technology leadership roles at the Borden Company, Elmer’s Products and Cardinal Health. In his spare time, Doug donates his time to Habitat for Humanity, Kairos, March of Dimes, Serenity Street Foundation, First Community Church Prison Ministries, the Shriner’s Hospitals, and is an honored 33rd Degree Mason. Doug and his wife, Lynn, have three children and reside in Denver, Colorado.